The act of practicing gratitude certainly seems to have taken the world by storm. Being thankful has been scientifically proven to improve health, increase happiness, reduce stress and open our hearts and minds. Without question, it’s a great way to reframe perspective and appreciate the goodness in the world. Yet as I completed my own gratitude journal, there were some mornings I struggled to think of three things to write. Some days it was both too easy and too hard. There were definite themes that emerged such as family, friends, loved ones, health and nature but looking back at my entries I realized not once did I write about being thankful for the clothes on my back, the roof over my head, or the food and water I take for granted every single day. 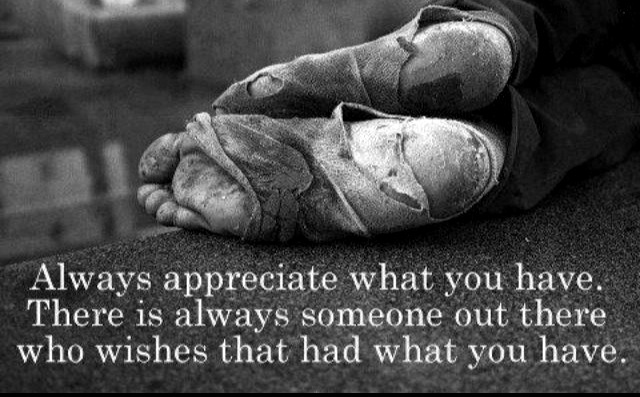 Practicing gratitude helped me realize and appreciate what I have, as well as opening my eyes to those who have less. There’s also a great deal of talk these days about living a life of abundance. Many of us have been lucky to be in a place where we felt we had it all—the loving spouse, the kids, the job, the house, the car, and maybe even a picket fence. But all of these things can change overnight, or at least in a very short period of time. If we view abundance in terms of material possessions, we’re really missing the point. According to Deepak Chopra, true abundance is experiencing joy, health, happiness, a sense of purpose, and vitality. In other words, you can live a life of wealth and still be poor. When you stop to think about it, abundance really isn’t so much about what you have as much as it is about who you are on the inside. I’ve come to realize that giving back is an essential component of being able to fully comprehend the true meaning of both gratitude and abundance. I’ve been awed and inspired by the amazing stories of generosity shared through social media. The recent ALS ice bucket challenge is just one example; the campaign went viral, resulting in a huge increase in awareness and support for the cause. As our collective social consciousness shifts away from a preoccupation with the self, ideas like Pay It Forward and Random Acts of Kindness are becoming more and more a part of the way we live. As many of you know, this year has been one of both celebration and struggle for me. I have been given the gift of time—to heal and reflect on all the things for which I’m grateful. From this reflection and the desire to live a truly abundant life, the idea for Hearts for the Homeless (H4H) was born as a way for me to reintegrate with the world, volunteer, and to fill my greater need. I’m so very excited about this project. The homeless are, first and foremost, just like you and me. They are people. People with hopes, dreams, and aspirations; people who may have made mistakes, or who may have taken a wrong turn; people whoes lives have changed… or stayed the same. There is no certainty in this thing called life. None of us are immune to heartbreak, disaster, or life-changing events. But amid all the uncertainty, the one thing I’ve learned is opening my heart to care for others brings greater meaning and joy to my life. Why the homeless and why Edmonton? I witnessed, first hand, the needs of some of Edmonton’s homeless population while working downtown. Like many of you, I’ve contributed to the food bank, donated to Goodwill and other such agencies, and I’ve volunteered at the Mustard Seed and Bissel Centre. After viewing a video about a couple in Arkansas who made care pack backpacks for the homeless, I was moved to start something similar here. This has been done in Edmonton in the past, but every year the need far exceeds the donations received. At last count, Edmonton had just over 2,200 homeless people. 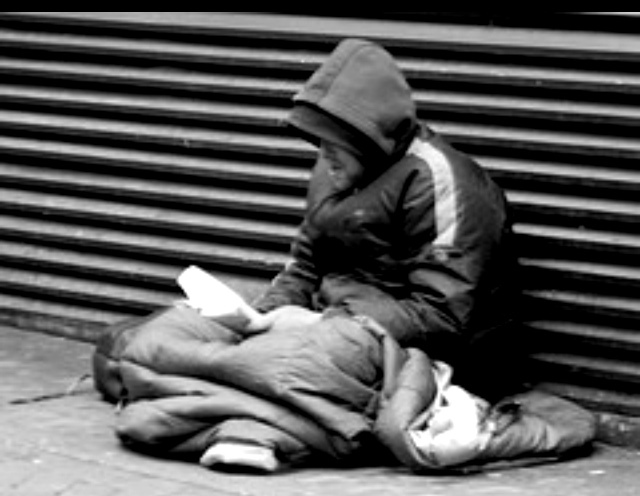 While this number has not changed a great deal over the years, there has been a dramatic increase in the number of youth living on the streets. Those of you who know me personally will understand how that last stat really pulled at my heartstrings, as I’ve spent most of my adult life working with vulnerable kids. Why not give back in our own community? I do, I have and I will continue to so in the future. Sherwood Park is not without its own vulnerable population, but it only takes a brief look to our neighbor to the west to realize the need there is much greater. Homelessness has been described as a ‘hidden problem’ in our community, and the local RCMP admit homeless individuals are usually ‘displaced’ to Edmonton, likely to be closer to the services and supports they need to survive. And finally, most of us frequent the city and we have a little extra to give, so this is an opportunity to give back to our neighbours—to give for the sake of giving, without the expectation of receiving anything in return. How can you get involved with H4H? Check out the list of suggested items below and contribute what you can to warm the heart of another. If you’re not a shopper, you may want to consider a monetary donation so that we can purchase essential items. Please note: H4H is unable to provide a tax receipt, as it is not a registered charity. And in case you wondered, each fully stocked backpack is estimated to cost about $35. H4H donation boxes are located at Booster Juice (Wye Road and World Health locations) and Sylvia &Co here in Sherwood Park. A Facebook page has been created to help spread the word, facilitate making connections, as well as posting updates and notes of appreciation. 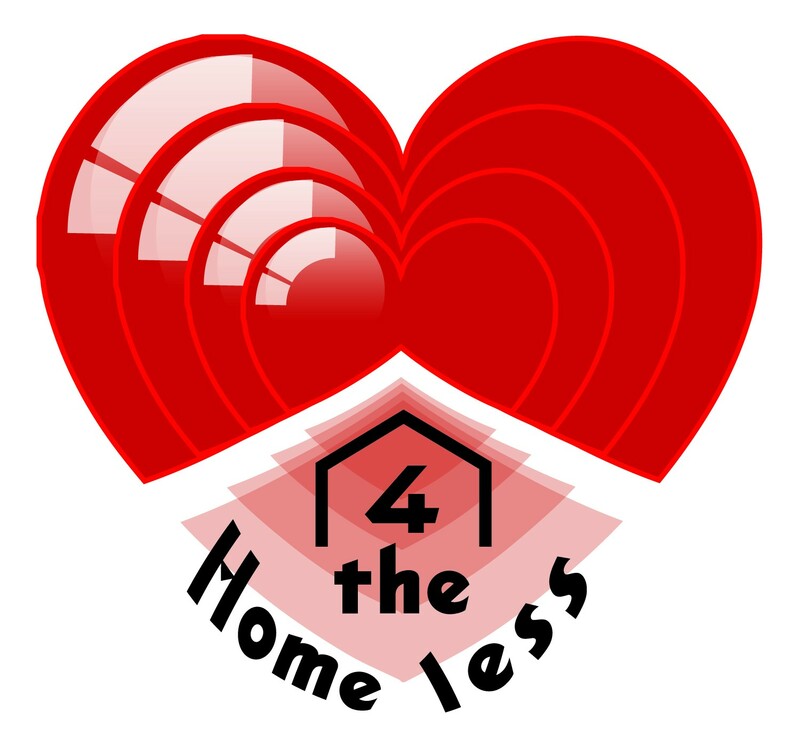 You can LIKE and SHARE Hearts 4 the Homeless Edmonton to show your support. Additional ways that you can volunteer will be posted on our page in the upcoming weeks. I realize there is no shortage of charities looking for support, and we all have those that are near and dear to our heart. Whether you support cancer research, women’s shelters, or children in another country, I hope you or someone you know may find just a little bit more to help out the homeless on the streets of Edmonton this year. I’ve been asked if I think Hearts 4 the Homeless will be a success and how big I hope the project will grow. My answer to the first question is, “Hell, ya! It already is!” The answer to the second question is, “I don’t know and it really doesn’t matter.” Whether this touches 10, 100, or 1,000 people, it will have succeeded by making a difference in the hearts of both those who gave and those who received. To those who’ve already expressed interest or made donations, you have my unending gratitude. Remember that practicing gratitude, living your true abundant life, and giving back allows you to receive many gifts in return.